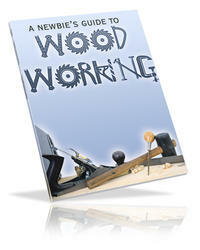 MANY FOLKS CONSIDER lime spent at the drawing table to be time taken away from woodworking. They think that unless they're cutting wood, no progress is being made. Actually both lime and material are being saved, not to mention a lot of head-scratching. The first ofany piece offurniture is always the most labor-intensive.To be successful, both design and construction must be ironed out beforehand, so I do a full-size drawing for every new piece 1 build. By laying oul a design at full scale, you get a better sense of its proportions and size. Also, pal-terns and templates for curved parts can be made directly from an accurate drawing, which means you don't have to redraw parts that were sketched out at a smaller scale. 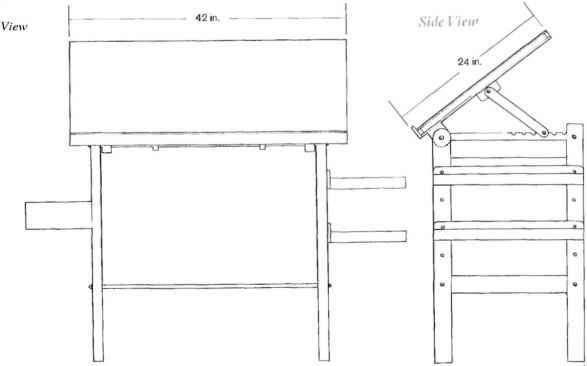 The full-size drawing typically includes three views and a few other important details and sections. The number of views and sections needed is determined by the complexity of the design. My drawing table is a 4-ft. by 8-ft. angled surface covered with a vinyl mat and equipped with a cable-controlled parallel rule. 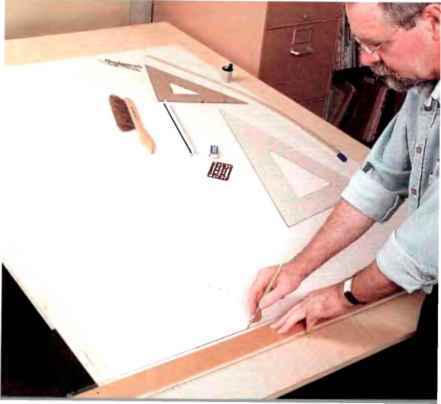 But all you need to make accurate drawings is a large, smooth surface (like Baltic birch plywood or medium-density fiberboard) with two parallel edges to run a T-square against. Add a ruler, a set of triangles, a white plastic eraser, an erasing shield, and a dusting brush, and you're off. For best results, 1 recommend hard pencil lead and special drafting paper. 1 use a mechanical pencil and drafting vellum called Charprint 91 611, which I purchase in 42-in.-wide rolls.